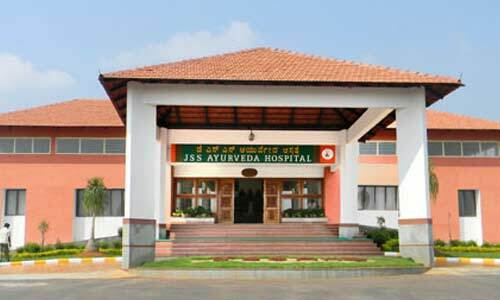 Located at the foot of Chamundi Hills in Lalithadripura, Mysuru, JSS Ayurvedic Hospital is well-equipped with all therapeutic facilities and intends to provide authentic Ayurveda treatment and holistic solutions to patients. Initially, when the hospital was set up, it catered to the needs of the poor and rural people of Mysuru, Chamarajanagara, Coorg and Mandya districts. However, today, its reputation is such that, people from all over the world visit the hospital looking for treatment in Ayurveda for their ailments. The hospital is known for its rejuvenating and detoxification treatments, which include Panchakarma, Upakrama, Virechana, Rasayana and weight management. Also, yoga classes are conducted as part of the treatment by trained gurus.